I stopped by Edutopia this morning to share strategies that will motivate all students to participate. In my current work with students who have been excluded from education, this topic is particularly meaningful to me. Why don’t students participate? How can we help them share their ideas? Here’s another kid-friendly idea to boost participation in your class. Four Corners Preplan four questions. Create a grid, one question per box. Give kids time to think about then write about their answers. Ask all kids to stand up. Kids choose one partner and share their first answer. After a minute or two, kids switch choosing a new partner and share their second answer. Repeat a total of four times. Make it fun by asking kids to choose partners with similar hair length, shoe color, etcetera. Beyond simply waiting after you ask a question or utilizing a randomizer technique like Popsicle sticks, how do you encourage all students to participate? 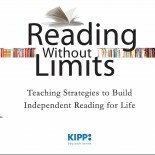 This entry was posted on February 25, 2013 by Maddie in Classroom Community, Engagement, Special Needs Resources and tagged edutopia, maddie witter, particiaption, reading without limits.